As we reported earlier this week, the release of iOS 7 was heralded for negative reasons with glaring gaps in security evident from day 1. The ability to get access to iOS7 user’s photos through the control center from the lockscreen was seen as an embarrassing gaff by Apple. Releasing a major OS update with such an obvious security exploit was a careless oversight by the organization. However, Apple has moved to rectify this exploit by releasing iOS7.0.2 which fixes this security issue, as well as some other minor updates. I would advice anyone who has upgraded to iOS7 to update to this as soon as possible, and let’s hope that no more obvious mistakes come out of the iOS7 woodwork for Apple. However while apple has been able to release a quick fix for the Control Center exploit, fixing issues with the fingerprint scanner would require much more effort. Below is a YouTube clip of the team of German hackers who have already found an exploit for the fingerprint scanner, and Apple has yet to respond to this exploit. Until Apple makes an announcement to allay the fears of consumers who in some reported cases have spent thousands of dollars on Gold iPhone 5S on the black market, then concern will continue to grow. However it is unlikely that Apple will admit to such a security problem as it would cost them millions to re-engineer the iPhone 5S and to replace customers smartphones will replacement models. Do you think Apple has rushed the release of iOS7? 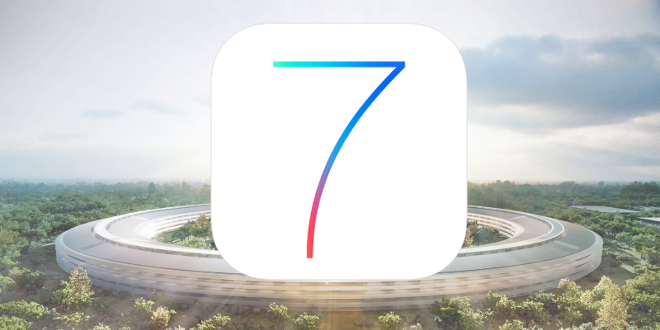 Will you upgrade to iOS7.0.2? Do you not mind the security issues? How do you feel about the fancy new fonts? Do you face-palm whenever someone suggests that Apple is innovative? Do you worry about people exploiting the fingerprint scanner?